For over 45 years the milk court Albert is one of the companions in the name group frischli. The frischli Milchwerke GmbH was founded in 1901 in Frille in Ostwestfalen as an small dairy by Hermann Schäkel. In the end of the 1960s the relationally linked private dairies Schäkel, Holtorf and Winkelmann united to a common enterprise. 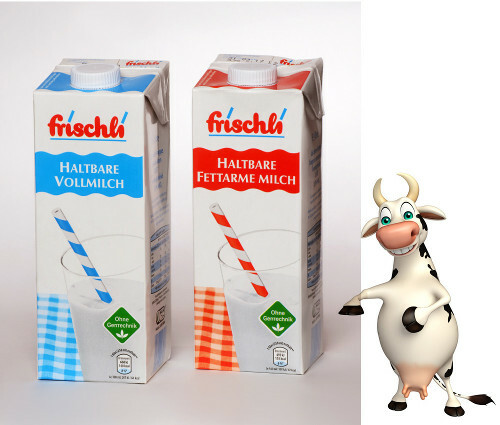 The name of the company resultes a new was frischli milk works Holtorf Schäkel KG Rehburg. Meanwhile only three privat dairies produce milk products under the name frischli. On the one hand is this the frischli GmbH from Lower Saxony from Rehburg-Loccum whit other company sites in Weißenfels by the river Saale and in Eggenfelden in Bavaria. And the other hand are the dairy Rücker from Aurich and we, the Milchhof Albert GmbH & Co.KG in Scheßlitz in Bavaria. From the house of brand frischli to coming products are valid high quality requirements. These are achievable only by a fair cooperation between milk producers, employees, partner companies and customers. We produce long-lasting unskimmed milk, fresh unskimmed milk and butter for the group. Our modern milk technology and the strict high class management make possible to do justice to the demands for the brand name frischli.